Rockford is located just 10 miles north of Grand Rapids with an easy commute to and from Grand Rapids via highway 131 South. Rockford is known for its excellent schools, vibrant downtown and booming businesses. 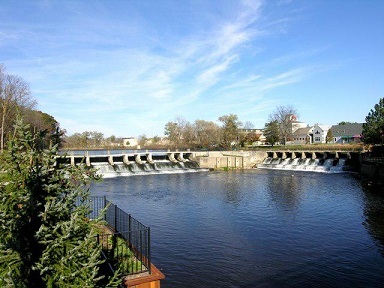 With a lot to offer to everyone, Rockford is an excellent choice if you're considering moving. Lakes-Rockford has a few different lakes that offer all sports watersports, fishing and public access. These include: Bostwick Lake, Lake Bella Vista, Big Pine Island Lake and Wabasis Lake. Downtown Shopping-Rockford offers boutique style shopping in its quaint downtown area. A few to choose from are Jade, Paperdoll and WAR Chest Boutiqe. Golf Courses-Rockford also has a few different golf courses to choose from for the Golf Afficienado. These include: Braeside Golf Course, North Kent Golf Course and Silver Lake Country Club.